Bar 13 is on the thirteenth floor. Street parking (metered) is available near the location. 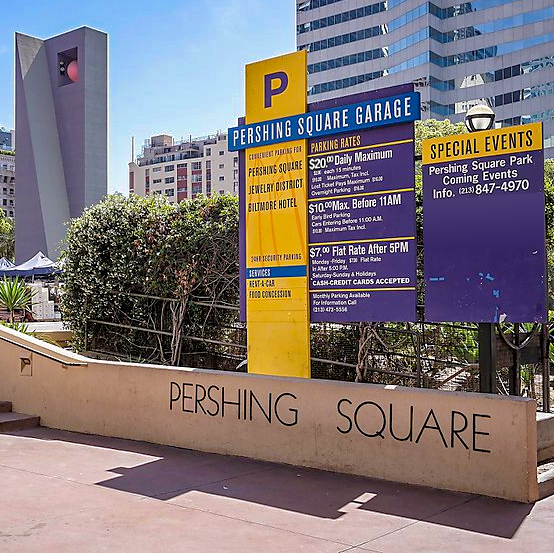 You can also park at the Pershing Square Garage ($20) which is almost directly adjacent to the venue -- enter near the southwest corner of W 5th St. and S Hill St.
Public transportation: Perch LA is also adjacent to the Pershing Square Metro Station, which is served by the Metro Red Line, the Metro Purple Line, and various local bus services. Agronomy LA will begin promptly at 11:00 am. Please don't be late! Lunch will be served from 1:00 pm to 3:00 pm. Complimentary soft drinks will be available throughout the event, as well as a cash bar. At 5:00 pm, when the event ends, the rooftop bar at the venue will open for anybody who wants to keep the party going (dress code: "upscale casual" -- no tank tops, ballcaps, or flip-flops). The rooftop bar offers beer & wine, cocktails, and a terrific view of the Los Angeles skyline.